Just back from 2 weeks in New Zealand and Australia (my first time back in 24 years!) 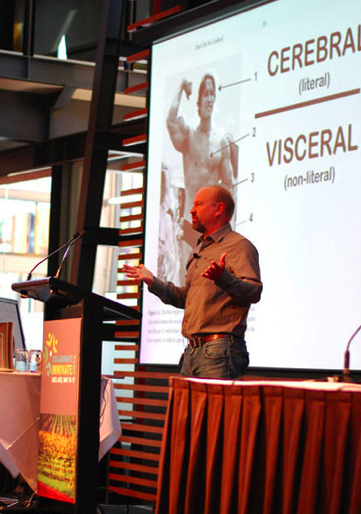 where I had a great, great time at multiple venues including the excellent, “Collaborate, Innovate” conference in Adelaide. 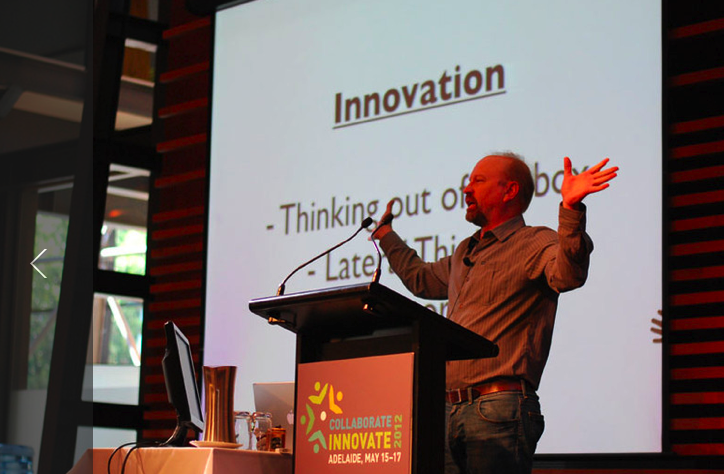 PREACHING THE GOSPEL OF INNOVATION at “Collaborate, Innovate” in Adelaide, Australia. For starters, the above line is a tribute to my excellent assistant/videographer/special effects editor Josh Forgy whose grandfather, Howell Forgy, 70 years ago, was the chaplain on board the U.S.S. New Orleans at Pearl Harbor and coined the famous expression, “Praise the Lord and pass the ammunition,” in the midst of the bombing. 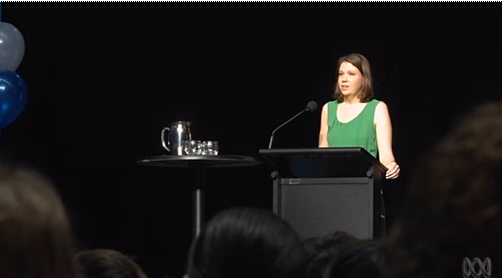 And speaking of which, this is a big week here as we’re doing our first test screening of my new documentary feature film about World War 2, but for now I’m recovering from a very busy two weeks in Australia, the highlight of which was the “Collaborate, Innovate” conference in Adelaide. Here are a few photos from my talk. THINK VISUALLY. 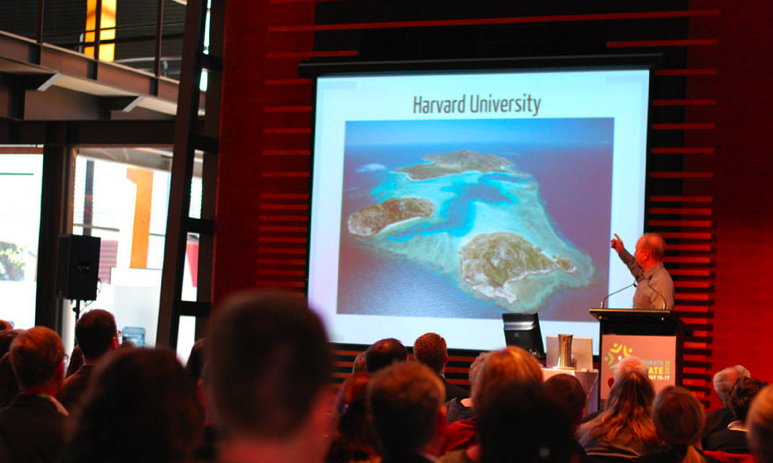 I’ve used this slide in about a dozen talks in the U.S. without eliciting a response, but in Australia the audience laughed, apparently ignoring what I was saying (that I did my graduate field work at Lizard Island in the photo), and instead thought I was suggesting that Lizard Island is a branch campus of Harvard. PREACHING FROM THE GUT. In the photo, Arnold is wearing what in Australia is known as “budgie smugglers” (budgie being a parakeet). 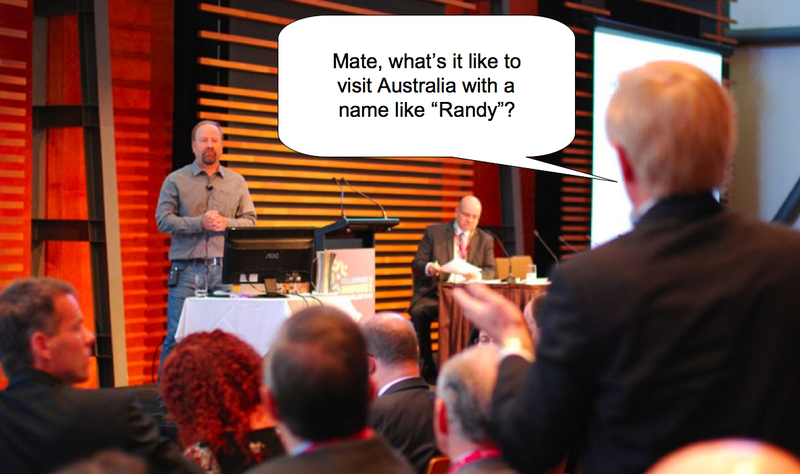 I’d forgotten this one from the old days of field work on the Great Barrier Reef — once when I had to give a talk to the Deputy Prime Minister of Australia, this was the only question he asked.